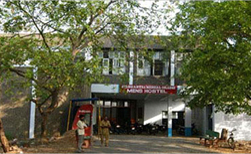 Siddhartha Medical College was established by Siddhartha Academy of General and Technical Education, Vijayawada -10 in November, 1980 with an annual intake of 100 students. As this is a statewide college admissions will be done following six point formula. The then Hon'ble Chief Minister of Andhra Pradesh late Sri.T.Anjaiah inaugurated the college on 13-3 1981.and the regular session started from 16- 3 – 1981. A building complex for Siddhartha Medical College was completed in November 1985 with a floor space of 1,48,000Sq. ft. in an area of 57 acres and the college was shifted into this new premises on 7-11-1985. The A.P. 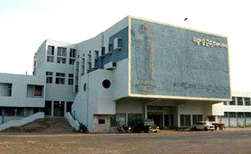 University of Health Sciences was established on 1-11-1986 in Vijayawada by the Government of Andhra Pradesh.. Siddhartha Medical College was handed over by the Siddhartha Academy of General & Technical Education to the A.P.University of Health Sciences on 21st December, 1986. 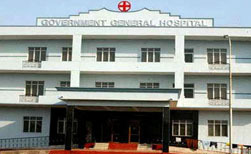 The Government of Andhra Pradesh has de-linked the college from NTR University of Health Sciences on 21st December 2000 , and brought this college under the administrative control of Director of Medical Education.